What about when no one is around? “Character is doing the right thing when nobody’s looking.” –J.C. 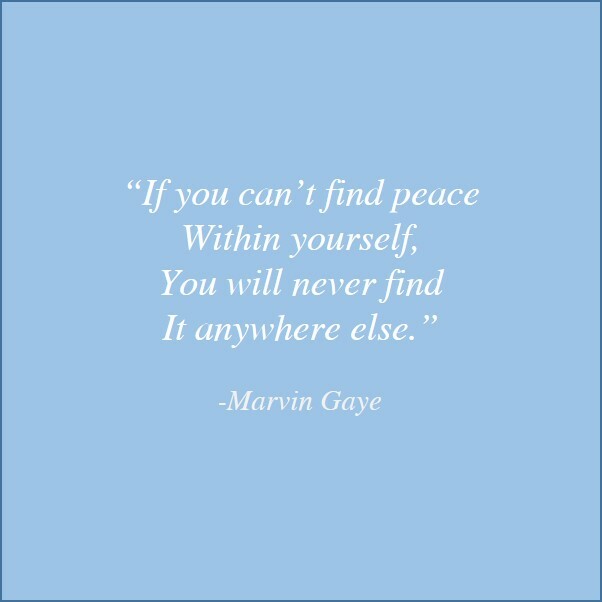 Watts, Jr.
Start with yourself and find your peace. It come from within and manifests outward. Keep your conscience clear. Live a just life. Be righteous and have a great day!